Quizzo Night of My Dreams - megandraws's JimdoPage! This week it was announced there is going to be a VERY SPECIAL Quizzo Night event in the city! 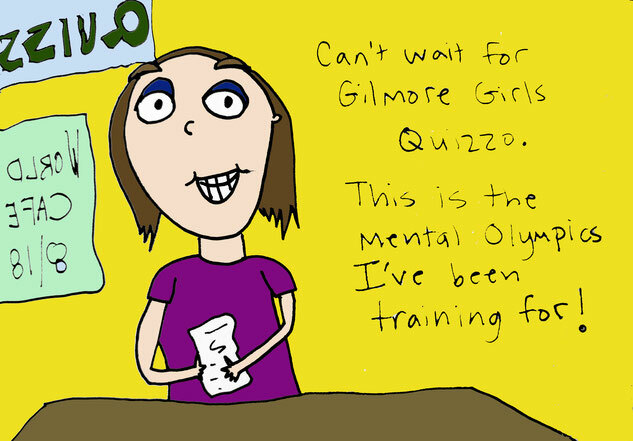 GILMORE GIRLS TRIVIA!!! After years of countless viewings of every episode of Gilmore Girls...even the ghastly Season 7! - I am prepped and ready to compete. 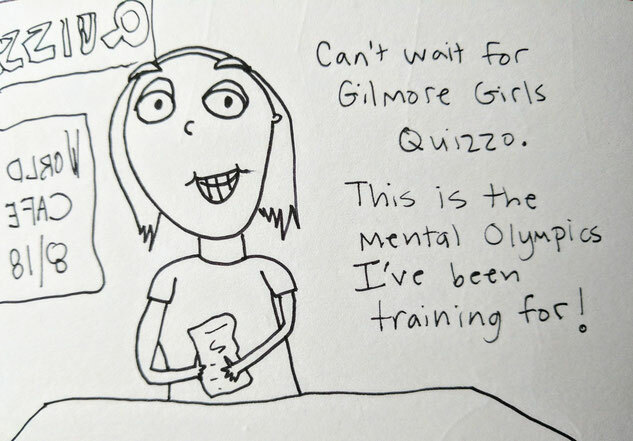 Quizzo is still a couple weeks away, so I'll have plenty of time to "study". Oy with the Poodles Already!